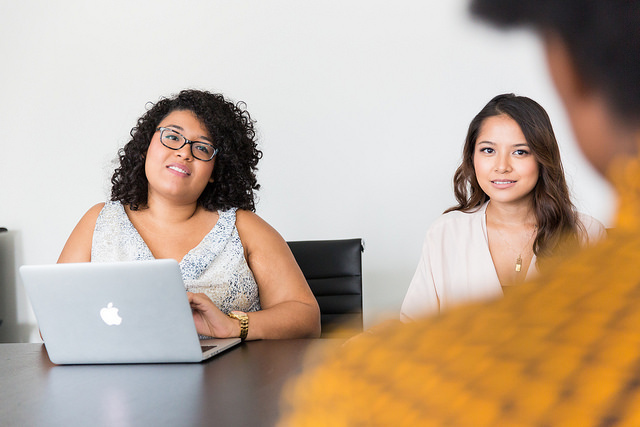 With our mission of helping female executives tell their stories & empowering them to step into their ideal opportunities in business, we know it is important to have the best resources to achieve your goals. We compiled a list of our favorite organizations that provide resources & inspiration for women in business. Take a look and give them a follow to take you further in your career. If you have any more recommendations, share in the comments below! Ellevate Network believes in the positive impact of women in business. Their mission is to help women advance in the workplace, both for themselves and the greater good. They strive to change the culture of business from the inside out - by investing in women. Levo arms you with the tools to develop your talent, build connections with peers, mentors, and jobs, and stay inspired day in and day out as you grow and develop. They believe you can create a life you’re passionate about. Daily motivational quotes for Boss Ladies. Need we say more? An online platform and conference for women looking to create & cultivate the career of their dreams. MAKERS is a feminist media brand for newsMAKERS, historyMAKERS, and troubleMAKERS. We tell the stories of today's trailblazing women to inspire the changeMAKERS of tomorrow. Founded by artist Amy Poehler and producer Meredith Walker, Amy Poehler's Smart Girls organization is dedicated to helping young people cultivate their authentic selves. Founded by Reese Witherspoon, they are a media brand anchored in storytelling, creating and discovering content that celebrates women and puts them at the center of the story. With my new commute to work over the past year, I spend about 2 hours a day in the car. Podcasts have become my best friend. It has turned my commute into cherished time in which I can reflect, learn and be inspired. Here are just a few of the podcasts that have moved me to grow. We were turned onto this podcast by a colleague and fell in love with it. It is a great podcast to hear stories from women in business and all the twists and turns they took to "make it." Forbes contributor, author and entrepreneur Denise Restauri, invites you into her NYC apartment to tap into her conversations with successful women who are sharing vulnerable moments. From high points, to when good ideas go bad, to moments of sudden insight when you just know you have to risk it all. The podcast is no longer active, but you can still go through and listen to the archive of episodes. What can I say? I love Oprah. I have been a big fan of Super Soul Sundays for a long time, so when they turned it into a podcast, it was even better. You hear Oprah’s personal selection of her interviews with thought-leaders, best-selling authors, spiritual luminaries, as well as health and wellness experts. All designed to light you up, guide you through life’s big questions and help bring you one step closer to your best self. The wildly popular, theSkimm, just launched their weekly podcast and it has become an instant favorite of mine. theSkimm's co-founders and co-CEOs, Carly Zakin and Danielle Weisberg, started their company from a couch. Now they’re bringing it back to one, and inviting powerful female leaders to sit down and chat about everything from celebrating career wins to the worst advice they've ever received. Marie Forleo has a piece of content for just about anything you need advice or guidance on. I have tuned into MarieTV and now with the podcast, I can listen to it on the go. Marie and her guests share actionable strategies for greater happiness, success, motivation, creativity, productivity, love, health, contribution and fulfillment — often with a lot of laughs. From business, marketing and career advice, to tackling failure, disappointment and fear, to philanthropy and doing our part to make the world a more loving, just and equitable place — they cover it all. I have been a huge fan of Storycorps for years. I fell in love after seeing this animated video of the story of "Danny & Annie" an elderly couple reflecting back on their life and relationship. It is unbelievably heartwarming and reminds me of the power of storytelling and why we need to listen. Storycorps highlights stories of the heart. They are candid, unscripted conversations between two people about what's really important in life: love, loss, family, friendship.